David Hance, a legend within the racing community and perhaps best known as the founder of the Shakedown at E-Town races, has chosen to work with P.TEN Marketing for his 2014 race season graphic design needs. 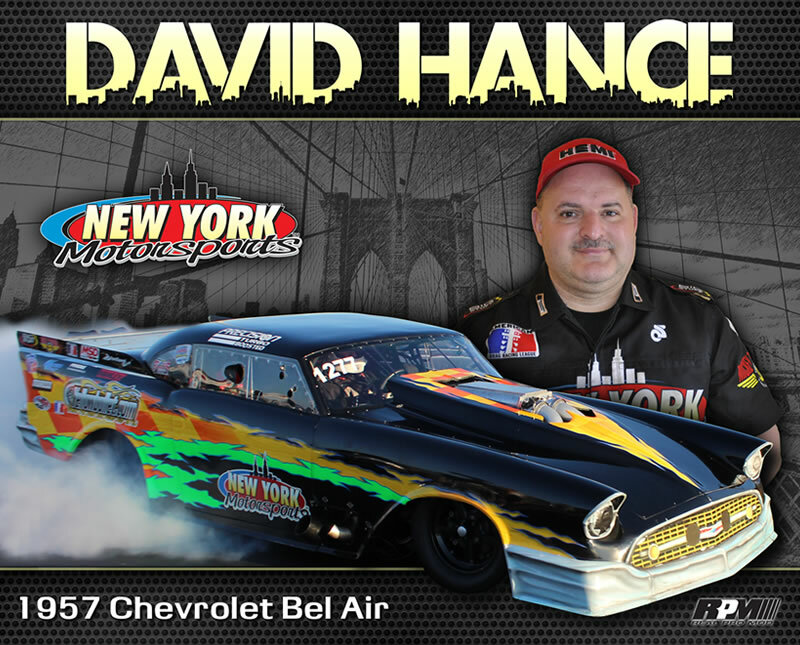 Focusing on Hance’s “New York pride”, P.TEN put together a hero card that tied in not only Hance’s beautiful ’57 Chevy Pro Mod race car, but a bit of the great state he calls home. The result was an eye-catching hero card that race fans will be proud to take home! Expanding on the design, P.TEN also put together a complete sponsorship proposal that Hance and the New York Motorsports team can use while pitching potential partners for the upcoming race season.